For a bit of fun… a new word for me this week in Korea was “Beezza,” a word that blends two American favorites which are both well loved here; Beezza is short for beer and pizza. Beezza. As in: yo man, I’m hungry and parched, wanna head out for some beezza? 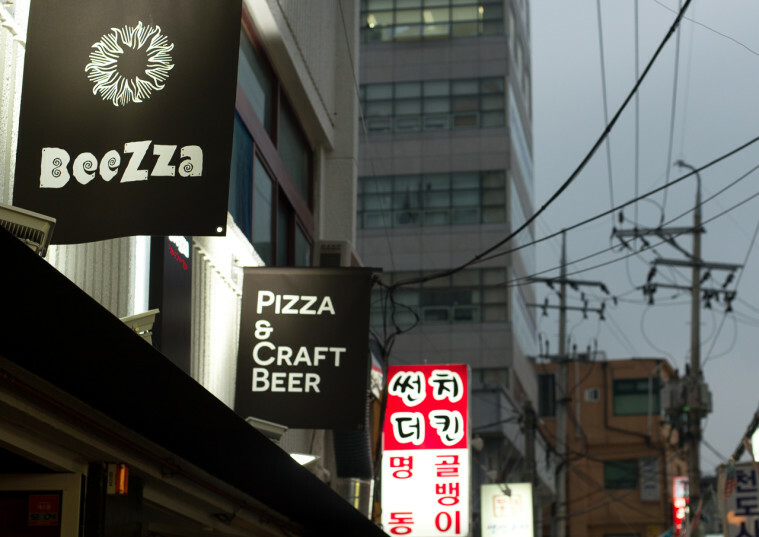 Although the word beezza isn’t commonplace in Korea — it’s actually the name of a restaurant — it is extremely common in general to combine multiple words into one here. This is especially true when it comes to consumables which pair well together. 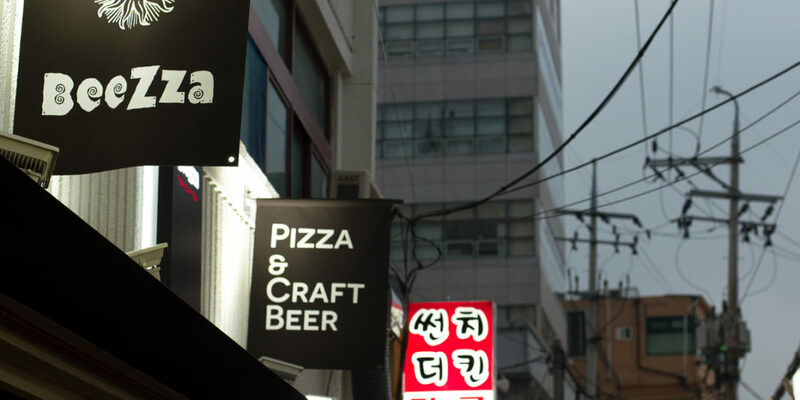 Ra = ramen noodles | bokki = tteokbokki, usually a cheap street food of glutenous rice cake in spicy red sauce. Delicious.